Student was represented at the hearing by George D. Crook, Attorney at Law. Jodi Bynder, Attorney at Law was present to assist Attorney Crook for a portion of the hearing. Mother and Father, and collectively Parents, were present for the entire hearing. Student did not attend the hearing. Student filed a Due Process Hearing Request (complaint) on March 26, 2010. The matter was continued for good cause on May 6, 2010. Sworn testimony and documentary evidence was received at the hearing. At the conclusion of the hearing, the matter was continued to September 13, 2010, to permit the filing of written closing arguments. The parties timely filed written closing argument, at which time the record was closed and the matter was submitted. 1 The matter was heard concurrently with OAH Case No. 2010031839 filed by Parents on behalf of Petitioner’s twin brother against District. B) Failing to make an appropriate offer of services? 1. Student is a 13-year-old boy who resides with his parents and his identical twin brother within the jurisdictional boundaries of the District. Student is not currently enrolled in the District. He qualifies for special education services under the category of autistic-like behaviors. 2. Student initially enrolled in the District on June 6, 2003, in kindergarten. He attended Rio San Gabriel Elementary School (Rio San Gabriel), a K-5 school, until June 2008, when he was 11years old and had completed fifth grade. Parents unilaterally enrolled him in Village Glen School (Village Glen), a California certified NPS. 7. Mother provided the UCLA reports to District in September 2005, at the start of the school year. District convened an IEP team meeting on November 8, 2005, to review the UCLA Psychoeducational Report and the Speech and Language Report (UCLA Reports). The IEP team briefly discussed the UCLA Reports and the diagnosis of autism. The IEP team also discussed teacher concerns for Student’s educational needs in connection with the Autism diagnosis. Parents signed an assessment plan for the triennial psychoeducational assessment and a speech and language assessment. 8. District conducted the triennial psychoeducational assessment of Student and issued a Psychoeducational Assessment Report on February 2, 2006 (District Report). The purpose of the assessment was to determine Student’s eligibility for additional special education services. 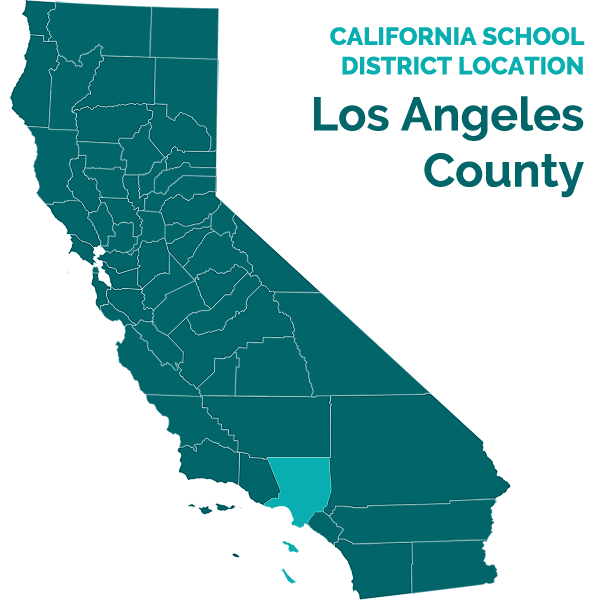 The UCLA psychoeducational report was reviewed and considered by District in the assessment. Based upon the UCLA Reports, the District Report found that Student’s cognitive ability ranged from average to superior and his academic performance on selected subtests was average. The District’s assessment also found weaknesses in the areas of self-help and interpersonal relationships, attention, concentration, and executive functioning. Student also presented with deficits in organization, planning, and coping with frustration. Based upon teacher’s report Student was also found to have poor imitation skills and was dependent upon prompting and redirecting by his teacher. The report also noted Student was very sensitive and often misinterpreted people’s tones and intentions. Student had difficulty initiating social interaction, which interfered with his ability to independently join groups during group work portions of class. Based upon its assessment, the District Report found Student was additionally eligible for special education services under the disability category of autistic-like behaviors. 9. The District Report recommended the following supports, services and accommodations for Student: (1) continued participation in the Speech/Language program to develop his social and communication skills; (2) continued RSP with emphasis on development of Student’s organizational skills and strategies to improve his attention to tasks; (3) visual supports, schedules, and organizers as needed; (4) direction to tasks to facilitate Student’s comprehension; (5) additional time to complete assignments; (6) provision of modified assignments; (7) multimodal instruction to improve comprehension; (8) strategies to improve Student’s organizational and planning skills; (9) strategies to develop Student’s self-help and independence skills; (10) opportunities for socialization through peer interaction at school and in the community; and (11) Student’s involvement in group-oriented, after-school recreational activities to facilitate peer-social interaction. 10. District conducted the triennial speech and language assessment and issued the Speech and Language Assessment Report on February 2, 2006. The speech and language assessment evaluated skills in the areas of articulation/phonology, receptive and expressive language, fluency, voice, and pragmatics. All areas with the exception of pragmatics were found to be within normal limits for Student’s age and gender. 11. At the February 2, 2006, triennial IEP team meeting the IEP team reviewed the District’s assessments and determined Student was eligible for additional special education services as a child with autistic-like behaviors. The IEP team established present levels of performance in Student’s areas of need as self-help and interpersonal relationships, pragmatic language skills, attention, concentration, organization and planning, and executive functioning. The IEP team developed goals and objectives in functional academics to improve work and study habits, social-emotional skills, and English/Language Arts. The instructional goals in the area of social-emotional skills required Student to identify and share feelings in appropriate ways as measured by observation in a classroom setting, achieving this with no more than one outburst/incident per week for the school year. The instructional goal in the area of functional academics required Student to finish class work on time as measured by observation in a classroom setting and to complete assignments with no more than two-to-four prompts per task for the school year. Both goals were to be implemented by the general education and RSP teachers. The English Language/Arts goal (speech and language) required Student to demonstrate and recite good conversational rules including eye contact, turn-taking, topic maintenance, interpreting non-verbal messages, and answering questions appropriately with no assistance at the rate of 90 percent for four weeks. The goal was to be implemented by the LAS specialist. The IEP offered continued placement in the general education classroom with RSP consult one time per week for 20 minutes either in the classroom or the RSP room, and speech and language services twice a week for 30 minutes each in the speech and language room. Parents consented to the IEP. In sum, the present levels of performance, goals and objectives established in the IEP addressed Student’s greatest areas of need. 12. During the fall semester of the 2006-2007 school year, Student was in the fourth grade and had greater difficulty completing class work and homework assignments, had difficulty with attention to detail, needed continual prompting to stay on task, lacked organizational skills, was forgetful and easily distracted, and his grades began to decline. Student was also becoming increasingly aggressive toward his twin brother. He instigated fights with his brother at home and school and fought other students during recess and lunch in defense of his brother. Mother received numerous calls from the school concerning Student’s fighting. Student’s final grades in the third trimester were “RS” in English/Language Arts Reading and in English/Language Arts Writing; “C” in Mathematics; “C-” in History/Social Science; and “C+” in Science. The grade of “RS” was given by the resource support teacher to students who performed below grade level in the subject area. 13. Parents requested an addendum IEP team meeting which was held on November 27, 2006. At the meeting Parents and Student’s RSP teacher expressed concern that Student’s grades were dropping and Student required additional classroom support other than the RSP consult. The IEP team agreed and amended the IEP to provide RSP direct services four days per week for 30 minutes in the general education classroom or the RSP room. Parents consented to the amendment to the February 2, 2006, IEP. Parents also expressed concern about Student’s aggression and the problems occurring in the classroom and on the playground during unstructured time at lunch and recess. 15. Dr. Wood is also a private practitioner specializing in cognitive behavior therapy (CBT). Dr. Wood testified at hearing as Student’s autism expert. He testified that he reviewed the UCLA Reports, medical records and school records. He testified that Student presented with severe maladaptive behaviors that affected him at school and in the home. Student had slightly higher cognitive abilities than his brother. Student presented with subjective thoughts and beliefs that were irrational and lead to negative behaviors in slightly different ways. For example, Student had a fear of contamination from germs or certain foods which might cause him to become sick and die. Dr. Wood also found that Student had a propensity for physical aggression as reported by Student, Parents, and District staff. Dr. Wood treated Student until he entered the UCLA ABC Partial Hospitalization Program in March 2007. 16. A second addendum IEP meeting was held on December 7, 2006, for the purpose of developing a positive behavior support plan for Student. Dr. Wood attended the IEP meeting at Mother’s request to make recommendations concerning an appropriate behavior support plan. The behavior support plan identified Student’s behaviors of punching, kicking, and hitting other students which caused injury to others, disrupted class room learning time, and impeded his learning. The team believed the behaviors occurred because of Student’s inaccurate or exaggerated perceptions of situations and/or people plotting to perpetrate an incident against him or to harm him or resulting from Student’s perseveration on a particular statement, subject matter or person. For example, Student disliked a female student who in the second grade told him that there was no Santa Claus. He would glare at her in a threatening manner. The student told her parent who complained to District. The plan called for behavior intervention consisting of positive replacement behaviors, teaching and modeling appropriate physical contact, and setting up a behavior contract with positive reinforcements and rewards. The reinforcement procedures included the use of a daily report card, daily logs kept by teacher and communicated between school and parents by telephone call, verbal praise, and earned rewards. The IEP team implemented Dr. Wood’s recommendations in the behavior support plan including a behavior contract at home and at school, daily report cards and daily behavioral logs kept by the teacher which were communicated daily between school and parent. The IEP team developed a behavior goal to be accomplished by the annual IEP in February 2007. Parents consented to the positive behavior support plan and consented to the addendum IEP. 17. By the date of the annual IEP team meeting on February 2, 2007, Student had not improved. Parents attended the meeting. Mother told the IEP team that Student was aware he did not fit in with his peers at school. Mother also informed the IEP team that Student complained to her that the other children called him weird and bullied him. Student asked Mother why the children were so mean. Student’s classroom teacher reported to the IEP team that the positive behavior support plan, with the behavior contract, was ineffective. Father reported his concerns that Student had become more isolated, despondent, and depressed made statements such as “I wish I had never been born” and had stated that he did not want to live anymore. Father told the IEP team the family was waiting for a new psychiatrist to treat Student. The IEP team noted Father’s report. The District IEP team members made no additional recommendations for intervention in response to Father’s report of Student’s depression and suicidal ideation. The speech and language pathologist reported to the IEP team that Student had difficulty making eye contact when speaking with others. The RSP teacher reviewed progress against goals and discussed goals and objectives. The functional academics goal remained the same and the social-emotional skills goal was slightly modified to require that Student share feelings in appropriate ways as measured by no more than one outburst per month. The speech and language goal was also modified to require Student to demonstrate good conversational strategies (eye contact, topic maintenance and turn-taking) in therapy with 70 percent accuracy. The IEP offer of placement and services was identical to the offer in February 2, 2006, IEP. Parents consented to the IEP. 18. Sometime following the February 2, 2007, IEP Parents were referred to Anandhi Narasimhan, M. D. (Dr. Narasimhan), for psychiatric services. Dr. Narasimhan has been treating Student since February 2007. Dr. Narasimhan is a licensed Adult, Child and Adolescent Psychiatrist. She is double board certified by the American Board of Psychiatry and Neurology in Adult Psychiatry and Child Psychiatry. She has approximately nine years experience in the field of psychiatry. She is currently employed as a clinical instructor at Cedars Sinai Medical Center and is in private practice. She interviewed Student, reviewed Student’s school records and the UCLA Reports. 19. Dr. Narashimhan credibly testified as Student’s expert concerning his unique needs. She testified that Student had severe deficits in his social and pragmatic functioning. He had difficulty in social interactions and had problems in reciprocal conversation. Student would perseverate on subjects of interest to him such as outer space and dinosaurs; he was rigid in his interests and could not change direction in his conversation. He made virtually no eye contact with others. He did not interact with or relate to children his age. He was unable to read social cues and often misinterpreted others’ statements to him. Student exhibited an inability to understand abstract concepts and symbolic speech, and frequently took things said to him out of context. For example, a student at school once said to him “see you later alligator,” his response to this statement was “I am not a reptile.” Student perceived the statement as an insult or a threat. Dr. Narasimhan testified that the ability to understand abstract concepts is essential to one’s verbal comprehension and could affect Student’s academic performance. Dr. Narashimhan also observed that Student had an aversion to certain foods and smells, and was taunted at school because he would comment on the food preferences of other students. He refused to eat in the school cafeteria as a result. For example, he disliked the texture and smell of cheese, and believed that if he ate the cheese it might contaminate him and make him ill or die. He was obsessive compulsive and had a need to shower several times a day before playing video games. He had no friends at school other than his brother. Student told Dr. Narashimhan that his brother was his best friend. Following the initial intake and review of Student’s records she recommended Student’s admission for treatment at the UCLA ABC3 partial hospitalization program (ABC program). Dr. Narashimhan consulted with the ABC program on Student’s treatment and saw Student twice monthly from February 2007, to September 2008. Student was treated in the ABC program from March 12, 2007, to April 27, 2007. Student was prescribed Fluvoxamine 75 milligrams, for anxiety and depression. 20. A UCLA Neuropsychiatric Hospital Outpatient Discharge Summary was issued upon Student’s discharge from the ABC partial hospitalization program on April 27, 2007. Social skills training were received by Student and the family. The ABC program prepared a letter to District to assist District and the family in finding an appropriate placement for the next school year. The report referred the family to regional center for additional services and recommended outpatient follow-up therapy with Dr. Narashimhan for medical management, and return to Dr. Wood for outpatient psychotherapy. The report recommendations also instructed the family to follow up with the IEP process to request NPS funding. Mother provided a copy of the report to District. 21. According to Dr. Narasimhan, Student benefited from the intensive training and treatment in the ABC program and showed exponential progress in his behaviors. However, after his discharge from the program and his return to Rio San Gabriel, Student began to suffer anxiety, depression, sadness and his grades began to fall again. 22. Mother also noticed marked improvement in Student’s overall functioning immediately following Student’s discharge from the ABC Program. However, after April 27, 2007, when Student returned to Rio San Gabriel he regressed. 23. Student entered the fifth grade in the fall of 2007. His placement continued to be in a general education program with RSP and LAS services. Mother became more concerned because Student resumed the previous pattern of the fighting and aggression toward his brother and other Students. As a result, Student was removed from his class sent home from school, and placed on numerous partial suspensions. Student reported to Mother that the other students continued to call him names and pick on him, and that he felt bullied by the other students. Student told Mother he was afraid of the other students at school. Mother also described the ritual of packing additional clothes for Student, because he wet his pants several times a week at school. 3 The ABC program is the Program for the Enhancement of Achievement, Behavior, and Cognition at the UCLA Neuropsychiatric Hospital. It is a short-term integrated day treatment program for children between the ages of three to 12 years. The program is a fiveday a week year-round intensive program specializing in treatment of children with various types of neurodevelopmental disorders including Autistic Spectrum Disorders. 24. Student’s grades declined further. He was still not completing his homework or class assignments. He was still struggling academically. He became more aggressive toward other students and continued to get into fights at school. Mother credibly testified that Student was extremely fearful of the students at school and in particular those that he believed had bullied him. She stated that Student became reluctant to go to school. His final grades in the third trimester were “C” in English/Language Arts Reading; “RS” in English/Language Arts Writing; “RS” in Mathematics; “C” in History/Social Science; and “D” in Science. 25. District disputed Mother’s testimony that Student was bullied at school. Mr. Robert Jagielski (Mr. Jagielski), Director of Student Services for District, testified that District had an anti-bullying policy, and that he never received complaints or reports from Student that he felt bullied by other students at Rio San Gabriel. He also testified that not all instances of bullying would be brought to his attention unless it merited or resulted in suspension. He described bullying as repeated ongoing harassment, intimidation, teasing and threats against an individual. However, he also testified that some special education students and particularly autistic students were more likely to be verbally harassed by other children on campus. Mother’s testimony corroborated by Mr. Jaglieski’s testimony, supports a finding that Student was bullied by other students at Rio San Gabriel. 26. An addendum IEP team meeting was convened on November 1, 2007, to discuss the April 27, 2007, UCLA outpatient discharge report for Student. Parents were present with Dr. Narasimhan. The IEP team discussed Parents’ and teacher’s concerns that Student was not accessing the general education curriculum. The classroom teacher discussed Student’s failure to complete his work, his missed homework assignments, and his overall non-compliancy with respect to school work assignments. Dr. Narasimhan discussed Student’s needs and informed the IEP team that Student had been diagnosed with high anxiety and was prescribed medication under her care. Dr. Narasimhan discussed how Student thrived in the ABC program, where Student was provided one-to-one instruction. Dr. Narasimhan discussed the concern that District’s general education program was not meeting Student’s needs and questioned whether District had a better or alternative program to meet Student’s needs. Dr. Narasimhan suggested strategies that Student would do better in a smaller more restrictive setting. The IEP team discussed the upcoming transition to middle school in the 2008-2009 school year and Parents questioned whether Student would do better in another middle school in the District other than the middle school of residence, East Middle School (EMS). Parents also discussed the need for a one-to-one aide to assist Student to stay on task and to complete assignments. Parents also inquired about the special day class setting (SDC). IEP team members explained that the SDC at EMS was for lower functioning students with learning disabilities and was not appropriate for Student. The IEP team discussed the interventions utilized by District over the years. The IEP team also discussed placing Student back on a behavior contract with rewards and consequences, and providing Student the accommodation of extra time to complete assignments in class. Parents requested that District provide the assistance of a one-to-one aide for Student. Parents expressed their concerns that the District’s interventions had been unsuccessful and that District could not meet Student’s unique educational needs for instruction in a smaller structured classroom environment. District did not provide additional interventions or a one-to-one aide. 28. District convened the annual review IEP team meeting rescheduled from January 31, 2008, to March 3, 2008. At this time Student was 11 years old and in the fifth grade. Parents were accompanied by Dr. Julie Sinclair (Dr. Sinclair), an advocate from UCLA. Also in attendance was program administrator, Julie Helm (Ms. Helm); RSP teacher, Ana Jones; program administrator, Nancy Matthews; District speech and language pathologist, Porcela Ross; and a graduate student of Dr. Sinclair. Dr. Sinclair informed the IEP team that Student needed a more structured educational environment such as Village Glen. The IEP team reviewed Student’s progress toward his goals. Student’s speech and language pathologist reported that Student had partially met his conversational strategies goal and that it was appropriate to continue working toward that goal. The IEP team also discussed that accommodations provided to Student that were successful for completion of work which included allowing extended time, modifying the length of an assignment, prioritizing work, “chunking” assignments into smaller blocks, assistance with organizational skills, refocusing his attention, and reviewing directions. The IEP team acknowledged Student remained less successful at completing and returning homework. The IEP team established goals and objectives for his transition to EMS for the 2008-2009 school year, which included continuing current goals and objectives. The IEP team also discussed social interaction with his peers. Ms. Helm suggested postponement of the IEP team meeting until information could be obtained concerning possible placements and programs that could meet Student’s unique needs. Parents were concerned about the District’s ability to offer Student an appropriate placement in a middle school within the District, but intended to wait until the next IEP meeting before making a determination concerning Student’s placement for the 2008-2009 school year. 30. The March 3, 2008, IEP meeting was continued to May 5, 2008. The purpose of the meeting was to further explore options for placement of Student in the 2008-2009 school year. The IEP team discussed the assignment of an additional adult assistant to the RSP program to assist and monitor Student’s completion of assignments, help organize his work, and to support Student in positive social interaction during recess and lunch. The IEP team discussed the RSP teacher reports that Student was struggling in mathematics which had formerly been an area of strength for him. The IEP contained present levels of performance, goals and objectives in the previously identified areas of functional skills, academics/work study habits, social-emotional skills, peer interactions, and language/communications, with a new academic/pre-academic goal in mathematics/numbers sense. The functional skills goals remained unchanged and social-emotional skills goal was changed back to the level previously established in the February 2, 2006, IEP. Parents reiterated their concern that Student was not making progress and had not improved in his academic performance. Ms. Helm discussed placement options for Student and told Parents that District had not assessed Student since the triennial assessments in 2006, and District wished to obtain current assessments of Student. Ms. Helm also informed Parents that District would consult with Vista Behavior Consultants (Vista), a non-public agency (NPA), to conduct an assessment to determine Student’s social skills needs for middle school, and to develop a transition plan. The IEP offered placement at East Middle School (EMS) with daily RSP two hours per day in the RSP room or general education classroom; speech and language services once per week for 30 minutes in the speech and language room; and additional speech and language services once per week for one hour. Parent signed for attendance at the IEP meeting but did not consent to the IEP. 31. Following the IEP team meeting, District prepared an authorization for release of records to be signed by Parent authorizing release of Student’s records to Vista. The purpose of the authorization for release of records was to allow Vista to review the records and develop a proposed assessment plan to conduct a social skills assessment, as requested by District. As of the end of the school year, Parent had not signed the authorization for release of records and Vista had not developed a proposed assessment plan to assess Student. District took made no additional effort to obtain an executed release from Parents at that time. 32. Julie Helm testified that she was a program administrator with District for more than 10 years. She was responsible for coordinating all special education programs in the District. She attended a number of Student’s IEPs and was familiar with his unique needs. She believed that placement at EMS, with the right supports, was appropriate. She believed Student’s placement in a general education classroom would be beneficial and appropriate due to Student’s average to superior academic skills. 34. Nancy Matthews was also a program administrator for District. She was responsible for coordinating and overseeing programs for autistic students. She also believed that the appropriate placement for Student was in a general education setting with an appropriate level of RSP. She testified that she was familiar with Student’s history of aggression and maladaptive behaviors. She stated there was no social skills program presently in the District to address those issues. She also testified that the SDC classroom setting was not appropriate, because the District SDC program and services were devised to serve only lower functioning students. 35. Vicki Aerosteguy (Ms. Aerosteguy) is the special education department chair at EMS. She is also the resource specialist at EMS for the sixth and seventh grades. She testified regarding Student’s proposed placement at EMS. EMS is a large middle school for sixth to eighth grade with 1,400 students. She described the school as having a clean and safe campus. She testified that there were three counselors on campus and the school psychologist was on campus four to five days per week. Ms. Aerosteguy was the only resource teacher for the seventh grade students and she had one instructional assistant to provide RSP in those classes when she was not available. She had a caseload of 24 RSP students. She testified that she was personally responsible for three classrooms with 33 students per class. There were six to seven RSP students in each of these classes. She and her instructional assistant were responsible for providing RSP to these students, and her instructional assistant provided the support when Ms. Aerosteguy was not available. Ms. Aerosteguy taught a reading intervention class to lower functioning students. She stated Student would not be in this class, because he had high reading scores. She stated that she might see him in the other core classes of mathematics and English but it would be a “hit or miss” for science or social studies. If she missed him he could come to the homework room after or before school. She stated that the schedule was such that no RSP was provided on Wednesdays because it was a short school day. She was also unavailable on days she scheduled IEP meetings. Ms. Aerosteguy also testified that RSP students had a safe haven. They could go to the RSP room, to the counselor’s office, or the peer resolution room if they wanted to have a quiet place tp eat their lunch or talk to an adult. Ms. Aerosteguy stated that social skill training was provided by the speech and language pathologist. There was no social skills program on campus, nor were social skills integrated into the class curriculum. She stated Student would receive social skills on a pull-out basis from his class for an entire period. She testified that there was one high-functioning autistic student on campus who was successful in accessing his curriculum. She testified that she reviewed Student’s IEP and was familiar with his needs. She stated that accommodations could be provided to allow early passing before the main student body changed classes, lunch in the RSP room, use of the restroom in RSP room to change for PE, visual supports in the classroom, and extra time to complete work. She further stated that the SDC class was not appropriate for Student as the students in the class were lower functioning with a variety of disabilities. Also Ms. Aerosteguy stated that currently there were no autism-specific classes at EMS. Ms. Aerosteguy believed that EMS was an appropriate placement for Student, because Student had grade level skills and the placement was in the least restrictive environment with typical peers and opportunities for modeling appropriate behavior. The testimony of Ms. Aerosteguy, Ms. Matthews, and Ms. Ford established that District could not offer Student a small structured classroom environment such as an SDC. 36. Laurie Stephens, Ph.D. (Dr. Stephens), is the Director of Clinical Services at Educational Spectrum, a private agency located in Los Angeles, California. She has more than 20 years experience in the diagnosis and treatment of adults and children with autism spectrum disorder. She has consulted with school districts, providing training in behavior interventions and social skills training of children with Autism. She has developed IEPs and has attended IEP team meetings to provide input on the development of goals, objectives and present levels of performance for children with Autism. She has conducted hundreds of social skills assessments and provides social skills intervention and training to clients with social and behavior deficits. Dr. Stephens was previously employed by Village Glen, a school under the auspices of the Help Group, where she developed a social skills curriculum with a token economy system, used to reward good social behavior. She testified as Student’s expert regarding the need for a class-wide, social skills program, positive behavior plan, and the need for Student’s placement in a structured classroom environment. 37. Dr. Stephens opined that the social skills curriculum she developed included a reward system or token economy designed to provide incentives to students to strive for good social behavior. She further opined that the program required a positive behavior support plan to insure the student’s success in the classroom, and was based on substantial peer-reviewed research and was proven to be effective. She disputed District’s belief that the best placement for Student was in the least restrictive environment with opportunities to learn from behavior modeled by typical peers. Dr. Stephens explained that exposure to typical peers does not necessarily improve social skills of an autistic child, such as Student. She further testified that a child such as Student, required a more comprehensive social skills program woven into the daily class curriculum with opportunities for immediate feedback and access to counseling. Dr. Wood similarly testified to the effectiveness of the social skills curriculum for a child such as Student. 38. Dr. Stephens was also critical of the Student’s present levels of performance and instructional goals and objectives offered in the May 5, 2008, IEP. She testified that the present levels had been the same for the past two school years. Similarly, that the instructional goals had not changed and were unrelated to the present levels of performance. She further testified that Student had made no measurable progress from year-to-year and instead his grades continued to decline. She stated that when Student was not meeting his goals District should have investigated why. Dr. Stephens had not attended Student’s IEP team meetings nor had any discussions with District concerning Student, and was not introduced to Student until after September 2008, when Student was enrolled at Village Glen. She had no first-hand knowledge of District’s reasons and methods by which District developed Student’s present levels of performance and his goals from year-to-year. However, Dr. Stephens’ opinion is entitled to some weight. She had reviewed Student’s educational records including all of the IEPs developed for Student, and based upon her experience in developing and implementing of IEP’s particularly for children with autism, could render an opinion about the inappropriateness of the IEP goals and programs offered to Student. 41. On June 12, 2008, at Parents’ request, Dr. Wood observed Student in his classroom, interviewed classroom teachers, and interviewed Student at Rio San Gabriel elementary. His observation, including the interviews, totaled three hours. Dr. Wood gave a written report to Parents dated June 19, 2008, in which he reported his observations. Dr. Wood observed Student in his homeroom. Student sat in the front of the class, yet appeared to be unengaged and somewhat distracted. While other students were engaged and raising their hands, he sat quietly and was neither disruptive nor participating. Student was more engaged during his language arts class. Student raised his hand and attempted to participate but his response was not on point. At recess, Student walked around the grass area with little facial expression, not joining in any of the games. His peers did not approach him at any time during the recess. At lunch, Student did not approach the eating area and walked several feet away to the grass field, stood in the shade of a tree alone, looking out at the field. A short time later a group of children headed toward the field. Several of these children were drinking sodas. Student commented on the sodas. Dr. Wood observed Ms. Aurelia Fountain (Ms. Fountain), Student’s one-to-one aide, talking to Student. Ms. Fountain reported to Dr. Wood that Student became upset that his peers were drinking sodas when the teacher had told the class not to drink sodas at lunch that day. Student was upset because the children had violated the rules. 42. Dr. Wood interviewed Student and his brother together at the end of the lunch period. Student complained about peer harassment experiences. Student talked about a group of boys who repeatedly bothered him about his dinosaur t-shirt. Dr. Wood reported Ms. Fountain explained that the matters of which Student complained were isolated and dated events that the Student could not seem to forget or move past. Student and his brother also stated there were no peers at the school they could call friends. Student told Dr. Wood that he and his brother routinely spent most of recess and lunch alone or with each other. 43. In addition to interviewing Ms. Fountain, Dr. Wood interviewed Theresa Ford (Ms. Ford), who was the Principal at Rio San Gabriel. Both confirmed Student had a difficult time with the daily multiple transitions to his classrooms and that Student was uncomfortable with the frequent changes. Both described the numerous accommodations that had been made to Student’s program including provision of organizational tools, homework lists, peer buddies, visual schedules, oral/visual instructions, preferential seating, and allowing Student to write his side of the story when problems with social interaction occurred. Ms. Ford also reported that Student periodically acted aggressively. Ms. Ford described the incident involving a female student who said to Student “I hate dinosaurs.” Student and his brother responded by fighting with the girl. Ms. Ford went on to state that other children had also been targets of Student’s aggression, and that Student and his brother would often argue and fight each other. Ms. Ford explained that Student and his brother were placed into separate classes because of this propensity for aggression toward each other. Ms. Ford and Ms. Fountain confirmed Dr. Wood’s observations during recess and lunch. Ms. Fountain added that Student, on occasion, engaged other children in conversation during recess and lunch but that 95 percent of the time the conversation erupted into argument. Ms. Fountain emphasized that the fighting with other students and between brothers occurred even in her presence. 44. Dr. Wood reported that Student’s core grades had steadily declined between third and fifth grade. Student’s academic grades were currently in the range from “D-“ to “C+”. Dr. Wood noted that the declining academic performance was cause for concern given Student’s IQ scores in the range of 105 to 111 and academic assessment scores in the average to superior range, obtained from the triennial assessments. Dr. Wood concluded there was a notable discrepancy between Student’s cognitive abilities/academic potential and his academic performance. Dr. Wood noted that even though Student’s IEP contained socialemotional and behavioral goals, there was little evidence of progress toward these goals, based upon Student’s poor social-emotional functioning in the current school year, even with provision of a one-to-one aide for much of the school day. 45. Dr. Wood concluded in his report that the records review and interview of school staff and Student painted a consistent picture from the third through fifth grades of academic under-performance and social maladjustment. He noted Student was unable to benefit or progress either academically or socially even in the general education setting at Rio San Gabriel, which he described as a very nurturing educational environment with substantial and reasonable accommodations. Dr. Wood noted that given Student was scheduled to enter a public middle school in fall 2008, with even more transitions, unknown peers and current peers transitioning to EMS, and with less nurturance than currently available to him, that it was hard to imagine matters improving appreciably if he remained in the general education setting. Dr. Wood noted that Student would require intense specialized instruction with teacher supervision in a self-contained class throughout the day. Dr. Wood recommended placement on a self-contained campus with access to experts in autism/Aspergers who could design wrap-around programs to address Student’s myriad of needs including individual counseling, on-going coaching, social skills group, communication training, as well as parental support. Dr. Wood’s recommendations emphasized the necessity for social and communication skills training, and access to a counselor or designated individual to provide guidance with identifying and implementing adaptive coping and social skills at school weekly. Dr. Wood subsequently recommended placement at Village Glen. 46. Parents also obtained input from Dr. Narashimhan who concurred with Dr. Woods’ findings and recommendations for placement of Student. Parents timely notified District by letter dated July 16, 2008, of their intention to place Student at Village Glen starting September 8, 2008. The letter gave the District a 10-day notice of a unilateral placement and requested reimbursement for such placement. The letter was hand-delivered by Father to Unsworth Elementary School where Student was to have attended summer school. 47. District received Parents’ July 16, 2008, letter on September 5, 2008, when it was delivered to District from Unsworth. District notified Parents on the same date that District would convene an IEP team meeting on September 11, 2008. District also notified Parents that it was District’s responsibility to schedule an IEP meeting in a timely manner whenever a parent unilaterally changed placement of a special needs student, and Student’s enrollment at Village Glen constituted such a change. Parents initially responded that they had not requested a meeting but accepted the invitation. The meeting was rescheduled at Parents’ request to October 22, 2008, but was held on October 23, 2008, as an accommodation to Parents to discuss placement of Student and his brother. 49. Parents attended the meeting accompanied by their attorney Jodi Bynder. District personnel in attendance at the meeting included Ms. Matthews, Ms. Helm, Ms. Ford, and Kathi Thompson (Ms. Thompson), school psychologist. A general education teacher and a RSP teacher from EMS also attended. Mother explained the family placed Student at Village Glen because District’s offer of placement was not appropriate and did not meet Student’s unique needs. The family had concerns about Student’s severe social skills deficits and his failure to make academic progress while at Rio San Gabriel. The District staff explained the program at EMS which included a SDC, general education classes, and RSP provided through an inclusion model. The general education teacher from EMS described the types of modifications that are implemented in the classroom to help children succeed in class such as modification of tests, homework, and class assignments. District staff also stated that EMS was a safe campus. Mother stated her concern that Student feared the children who had transitioned from Rio San Gabriel to EMS and that Student perceived EMS to be unsafe. Ms. Helm stated that the District’s obligation was to offer Student placement in the least restrictive environment and that the least restrictive environment was not a NPS where all students were disabled, but a general education program where Student could be integrated with neurotypical peers. 50. District renewed the offer from the May 5, 2008, IEP to conduct an assessment by Vista to assist in determining how to support classroom performance, access to grade level standards, support social interaction with neurotypical peers, and reduce Student’s anxiety related to peer interactions. District additionally offered the following program and services: (1) placement in a general education class which included English Language Arts Cluster taught by a general education teacher with direct RSP; (2) preferential scheduling, clustered for science and social studies; (3) math within a higher ability grouping taught by a general education teacher with RSP consultation; (4) Physical Education (P.E.) accommodations; (5) LAS therapy one time per week for 50 minutes with social stories; (6) counseling one time per week for 15 minutes with school counselor; (7) seventh period homework help three times per week with a RSP teacher 2:45 to 3:45 p.m. and Wednesday from 12:40 to 2:00 p.m. with an instructional assistant. The District also offered Parents and Student an opportunity to visit EMS to meet the staff and tour the school. Parents signed for attendance at the IEP but did not consent to the offer. The IEP offer was for the 2008-2009 school year and carried forward to January 31, 2009, when the next annual IEP was due. District did not convene an IEP in January 2009, nor did District offer placement and services for the 2009-2010 school year. Student continued to attend Village Glen. 51. Ms. Matthews was initially involved in the development of a transition plan for Student in the May 2008, IEP. District offered to consult with Vista who would conduct a behavior assessment of Student and develop a transition plan and strategies to address Student’s social skills needs. Mother agreed to District’s strategy. However, Mother had not authorized District to release Student’s records to Vista to facilitate the preparation of an assessment plan. Ms. Matthews attended the October 23, 2008, IEP meeting because of her experience working with autistic students in the District. She was also familiar with Vista, as Vista had assessed District and developed social skills plans for students with autism. District needed current assessment data regarding Student’s social skills and behavior needs in order to develop an appropriate program for Student. As of the October 23, 2008, IEP meeting, Mother still had not signed an authorization for release of records to be provided to Vista. 52. On January 19, 2009, at Parents’ request, Dr. Wood issued a follow up to his June 19, 2008, report and recommendations for Student’s placement. The report summarized Dr. Wood’s observations of EMS and Village Glen. Dr. Wood visited EMS on January 6, 2009. He visited several general education classes Student would be attending as well as the sixth grade SDC. He also interviewed school staff. His observation and interviews took approximately three hours. The staff reported the average class size was 33 students. The sixth grade SDC had approximately 15 mostly high-functioning students, some older youth with cognitive disabilities. There was no disorder-specific support program for children with autism that took into account the features of the disorders and the learning development needs of such a student. Texts used in the classes were standard for the grade level, but are not individualized for learners with special needs. He observed the snack period. The snack period was a school-wide activity, which was characterized by large groups of students standing around together, chatting. District staff pointed out an area where some SDC students were sitting together in the middle of the crowd with a few RSP aides nearby. Some SDC students were standing alone wandering around, not interacting. RSP staff did not approach them or redirect them. Dr. Wood observed very little aggression, except for one boy who lifted a female student into the air without permission. During his visit at EMS District staff explained to Dr. Wood that District planned for Student to attend general education classes with RSP, rather than the SDC, because Student was intellectually above the level of students in the SDC. Student would be assigned a one-to-one aide for his transition into EMS with a goal toward ending the support within a month of transition. Whether the aide would be provided at all, and whether the aide would provide 50 percent or more support to Student, would be determined at an IEP meeting. RSP would be provided for the rest of the school year about 50 percent of the time in core subjects. The aide would serve five to nine students per class in a blended, full-inclusion class. Dr. Wood observed during an RSP English/Language Arts class that no RSP was present. Dr. Wood noted the SDC was a mixed class of students with various different disabilities. There were two to three teachers and/or aides in the class at any given time. The curriculum mirrored the general education curriculum but at a much slower pace with less detail because there were about four different ability levels to accommodate. 53. On January 16, 2009, Dr. Wood visited Village Glen to observe Student and his brother in their current educational setting. The observation, including interviews, took place over three hours. Each classroom contained approximately 15 students. Two to three teachers and one aide were present in each classroom. Classes and social times were tailored for students with autism. A respect/rewards program was employed throughout the school day for all students to promote appropriate social behavior. All students were on a token economy system based upon the behavioral needs of each individual student. Therapeutic staff was available on site and entered the classroom to address students’ problems throughout the day. All students were scheduled to receive social skills training 30 minutes daily and social skills supports were blended into daily curriculum. Dr. Wood observed Student and his brother role playing in separate social skills exercises. Dr. Wood noted staff reports that Student and his brother were very well adjusted and sociable at Village Glen. The staff has employed various methods to reduce Student’s level of perseveration and distraction involving his perception of peers, which had been a barrier to Student’s concentration and appropriate social behavior while attending Rio San Gabriel. Student and his brother were in different academic groups. Student was given more abstract and conceptual instruction, matching his specific intellectual abilities and was in gifted classes because of his higher cognitive abilities. Student’s brother received instruction that was more concrete and explicit. Student and his brother received a highly individualized curriculum and were reportedly each achieving well at their own levels. Dr. Wood observed Student and his brother interacting appropriately at play with their own separate groups of friends and playmates. Student was observed participating in class activities. Student’s therapist at Village Glen reported to Dr. Wood that Student was becoming less preoccupied with what his brother was doing than he had been in the past. 54. Dr. Wood concluded the visit to Village Glen with an interview of Student and his brother. The report noted that both maintained good eye contact, were happy and smiling, discussed enjoying the school more than Rio San Gabriel, liked the teachers and staff, and found that the school work was interesting and at the right level for each of them. Student also reported being happy with his new friends and socializing on and off campus. 55. Dr. Wood summarized his observations by noting that given Student’s poor adaptation to a general education elementary school setting, the lack of a social skills curriculum at EMS, and the more demanding curriculum at EMS, that EMS was not an appropriate placement for Student. EMS had a larger student body than Village Glen, and insufficient supports to meet Student’s unique needs. The general education classes had little RSP. The large campus and low staff-to-student ratio overall would present a problem for Student in daily transitions around campus. The unstructured and unsupervised snack and recess time would present the same problems Student experienced in the general education elementary school setting. In contrast, Dr. Wood concluded that Village Glen provided a small, self-contained campus where Student had improved academically, had daily supports in all areas of need, was provided with daily class-wide social skills instruction, had developed socially and emotionally, and had developed peer relationships as well as an improved relationship with his brother. Dr. Wood observed that, after treating Student and following their development since the third grade that Student was thriving for the first time in his life and had responded well the in Village Glen school setting. Dr. Wood’s report concluded that Village Glen was the most appropriate placement. 56. Dr. Wood’s testimony at hearing was consistent with his observations and his report. Dr. Wood also credibly testified that while it was important for Student to be placed in an educational setting with exposure to neurotypical peers with appropriate role modeling Student’s social-emotional deficits were too severe for him to derive any educational benefit from a less restrictive educational setting such as EMS. Dr. Wood’s testimony is highly credible and is deserving of significant weight. Dr. Wood is an expert in the field of autism spectrum disorders. He spent considerable time providing psychological counseling to Student and had followed his progress from the third through the fifth grades. He consulted with Dr. Narasimhan over several years and was familiar with Student’s unique needs. His involvement with the Help Group and Village Glen was of a clinical nature and thus did not appear to have any particular bias toward Village Glen. Dr. Wood’s testimony was very persuasive with regards to Student’s needs and the appropriateness of Village Glen as Student’s educational placement. 57. Dr. Stephens visited EMS at Parent’s request on May 25, 2009. She visited the general education classes and SDC class. She observed classes for approximately two hours. Her observations were that the general education classes were too large, consisting of 30-33 students per class, there was no RSP teacher or aide in the classrooms she observed, and there was no behavior system in place for the RSP students with social skills deficits such as Student. She also observed Student’s class at Village Glen and observed Student fully participating at all levels. She concluded that Village Glen was a more appropriate placement as the program and services provided more support and services to meet Student’s unique needs. While her observations were not as extensive as Dr. Wood’s her opinion that Village Glen was an appropriate placement for Student was entitled to substantial weight given her knowledge and experience with the programs at Village Glen. 58. Natalie Pries (Ms. Pries) is employed by the Help Group as the head administrator of Village Glen West located in Culver City where Student is enrolled. Village Glen has another campus in Sherman Oaks. The Help Group is an organization of non public schools that provide special education programs and services for children with various types of disabilities. Village Glen West was established in 2001 and is designed to provide a learning environment for children with social and communication deficits that interfere with the ability to access their education for students K-12. Ms. Pries stated that approximately 85 percent of the students are on the autism spectrum. Village Glen contracts with various school districts to provide special education services for district placed students. Village Glen has a therapeutic component, academic component which includes a program for gifted children like Student, and a functional vocational component. Some students attend college after graduation and some students are enrolled concurrently in college while in their senior year. Ms. Pries further testified that the campus is small and self-contained. The school has approximately 300 students. The classes have no more than 18 students with a high adult to Student ratio. All staff is trained in social skills intervention and social skills are taught in the classroom throughout the day. The school promotes all the normal activities on a general education campus. Ms. Pries has observed Student at Village Glen and testified that he is participating fully in his classes and has improved academically as he is getting “A” and “B” grades. He has also improved in his social interaction and communication with other students. Ms. Pries also testified that Village Glen’s objective is to prepare students to mainstream and return to the public school environment. 59. Mother testified that Student has thrived at Village Glen. He has excelled academically. He has been placed in the gifted classes. He is able to do homework assignments independently and no longer requires a tutor. He is happy and secure. He has friends with whom he interacts daily at school and for the first time he has had play dates and sleep overs. His behaviors have improved and his interactions with his brother have dramatically improved as they each have separate sets of friends they have met at school. 60. District convened an IEP team meeting on June 2, 2009 for the purpose of reviewing Student’s placement. The IEP document noted February 2, 2009 was the last triennial review date. Parents attended the meeting. District team members included Ms. Matthews, Ms. Thompson, school psychologist for District; Ms. Arosteguy; and other staff at EMS including a special education teacher, a general education teacher, a counselor, and a program administrator. Attorneys for Student and District were also present. Mother described Student’s current performance at Village Glen as successful. Student was happy and doing well academically and socially. She believed Student was accessing the core curriculum and had improved his academic performance. Student had improved social skills and interacted with students socially, both on and off campus. She credited the program at Village Glen for Student’s overall improvement. Ms. Aerosteguy described the resource program at EMS and the supports provided by her and her instructional assistants in core subjects in the regular education program. Mother informed the team of her two visits to EMS. She expressed concern that there was no RSP or instructional assistant support provided within the general education classes she visited at EMS. Ms. Matthews informed Parents that it was important to consider all options for placement including the SDC at EMS. 62. Ms. Thompson has been one of District’s school psychologists for 24 years. She has provided services as a school psychologist to numerous schools in the District including EMS throughout that period. She has been assigned full time at EMS for the past four years. Ms. Thompson testified that she was responsible for preparation of assessment plans and overseeing administration of assessments. Her role in this matter was to write the assessment plan, conduct the assessment, and to coordinate with Vista for the behavioral assessment. She prepared an assessment plan for Student and then provided it to Parents at the June 2, 2009, IEP meeting. Parents did not return the assessment plan or the authorization form. She testified that had she received the assessment plan in June she could have conducted the assessment over the summer break. However, she did not follow up or contact Parents concerning the assessment plan and had no further conversations with Parents over the summer break. She followed up with Parents after the summer break and provided Parents with another copy of the assessment plan newly dated September 8, 2009. She also provided Parents with another authorization form for records from Village Glen. The assessment plan was in English, described the purpose for assessment, and identified the areas to be assessed, including the Vista behavioral assessment. According to Ms. Thompson the reissued plan was identical to the plan provided at the June 2, 2009, IEP. 63. Parents enrolled Student at Village Glen for the 2009-2010 school year. Mother signed the reissued assessment plan and the records authorization form for Village Glen on September 21, 2009, and returned the documents by facsimile to Ms. Thompson on September 22, 2009. Ms. Thompson testified that by this date District had decided that the form authorizing release of District records to Vista was not necessary because Vista was included as an “other assessment” in the triennial assessment plan to which Parents consented. Ms. Thompson provided questionnaires to Student’s teachers at Village Glen and she contacted Vista and informed them of Parents’ consent to the assessment plan. Ms. Thompson instructed Vista to contact Parents to coordinate the Vista assessment. Ms. Thompson stated that she provided Vista with the last IEP and triennial psychoeducational report of February 6, 2006. Ms. Thompson understood that Vista would do a full assessment including records review, interviews, and observations at EMS and Village Glen. 66. District disputed Mother’s claim that she had not been contacted by Vista. Kim Huynen (Dr. Huynen), Director of Vista, testified that Vista received Student’s file from District on October 16, 2009. Chris Hebine, a Vista employee, also testified that he called and left voice mail messages requesting a return call regarding Student’s assessment on October 20, 2009. He testified that Vista’s policy was to leave brief non-detailed messages to protect confidentiality. He also called Parents on November 3, 2009, and spoke with Father who sounded busy. Father told him that Mother was handling the matter and he would pass the message on to her. Dr. Huynen testified that Mother did not return the call. Dr. Huynen made follow-up calls to Parents on December 1, 2009, and January 6, 2010, left voice mail messages, and did not receive a return call. Mother testified that the voice mail messages left in October, December, and January 2010, were not clear, such that they sounded like telemarketing calls. She further testified that she had forgotten to return the call in November. While Mother’s testimony on this point was not credible District made no further efforts to ensure that Vista conducted the behavior assessment or that a behavior assessment was completed. 67. The psychoeducational assessment was completed by December 2009, but Ms. Thompson did not complete the confidential Psychoeducational Report until February 9, 2010, because District was waiting for the Vista behavior assessment, which never took place. The IEP to review the assessments was not convened until June 2010. 68. District issued its Psychoeducational Report on February 9, 2010. District did not convene the IEP to review the assessments until June 2010. 69. The assessment was conducted by a multidisciplinary team including Ms. Aerosteguy, the seventh grade resource teacher, a seventh grade counselor, a speech and language pathologist, an occupational therapist, a APE teacher, a seventh grade general education teacher, and Ms. Thompson. Ms. Thompson supervised the team, received their input, including questionnaires from teachers at Village Glen, medical and educational records, Parent and Student interviews, and then wrote the report. 70. Ms. Thompson testified that she conducted the cognitive functioning portion of the assessment and interviewed Student in her office at EMS. She testified as noted in the report that Student did not appear comfortable in any of the “shared areas” on campus outside of the office. He was comfortable working independently and with assessment team members, but was unable to tolerate being around other students and experienced more anxiety when students were in his vicinity. Student did not wish to eat lunch in any of the shared areas on campus and was given a private room to eat lunch. 71. Ms. Aerosteguy testified that she conducted the academic portions of the assessment in reading, writing, and mathematics. The assessment took more than one day and the tests were administered in the conference room at EMS. Student appeared to exert maximum effort on all tests he was asked to perform. When Student was asked math reasoning questions he asked questions and used insight to solve problems. He was able to hold complicated problems in mind while he solved them. Ms. Aerosteguy also testified that Student showed some anxiety when the school bell rang. Student was apprehensive about whether students would enter the conference room and see him. He told Ms. Aerosteguy that he did not like the students, because those who he had attended school with were very rude. 72. The assessment results overall showed that Student remained eligible for special education services as a child with autistic-like behaviors. Student’s overall cognitive skills ranged from average to superior, verbal and nonverbal skills were high average, working memory skills were average. His academic skills ranged from average to superior. Student’s weaknesses were in the area of visual motor processing skills which were below average indicating that this was an area of weakness that may impair his ability to complete assignments or copy information in a timely manner, and executive functioning which indicated Student continued to have problems making transitions, using problem solving skills in a flexible manner, and shifting from one topic to another. The report noted that Student was primarily concerned with his difficulty with completion of short or long term assignments as well as allowing “little things” to upset him. The report further noted that these concerns were also expressed by his teacher. 73. The report recommended the following: (1) the IEP team determine the least restrictive environment; (2) in order to accommodate Student’s autism and anxiety, his school environment should possess a small work area within a classroom setting to allow Student his personal space, permit opportunities to change classes early during busy times, provision of a time away area if his anxiety increases during the day, provision of two or three staff members he can talk to at any given time in the school day about social conflicts or concerns, social activities that he can engage in during lunch and snack, and academic accommodations pending receipt of more information to be obtained from a behavior assessment conducted by an NPA; (3) review and revise the existing behavior support plan until a new behavior assessment is conducted; (4) provision of accommodations which include extended assignment time, modifying length of assignments, chunking assignments, assisting with organizational skills, and provision of visual supports and redirection; (5) frequent comprehension checks to assist with staying on task; (6) provision of opportunities for social skills development which can be investigated through referral to the regional center; (6) Student’s use of a “Goal, Plan, Do”, and a “Thinking About My Appropriate Behavior Worksheet;” (7) close communication between Student’s therapist and school staff to ensure his emotional needs are appropriately addressed the school setting; and (8) participation in extracurricular activities. 74. Parents have requested reimbursement for tuition, transportation and counseling for expenses incurred due to Student’s placement at Village Glen. Parents presented a bill for tuition for the 2008-2009 school year in the amount of $27,000 and $20,702.50 for the 2009-2010 school year. Ms. Pries testified that Parents paid the amounts stated on the billing statements for both school years. However, the only documentary evidence of payments provided by Parents were cancelled checks they attached to the billing statement for the 2008-2009 school year for the following dates and amounts: September 29, 2008 -$3,300; November 10, 2008 -$2,550; December 8, 2008 -$2,250; January 20, 2009 $2,878.50; March 1, 2009 -$ 3,300; April 10, 2009 -$ 2,800; The cancelled checks totaled $17,078.50. Parents attached cancelled checks to the billing statement for the 2009-2010 school year for the following dates and amounts: July 24, 2009 -$7654; November 4, 2009 $3376.50; March 9, 2010 -$3270; and April 5, 2010 -$3270. The cancelled checks totaled $17,570.50. Parents are entitled to tuition reimbursement in the amount of $34,649. 2. In his complaint, Student alleged a violation of IDEA relating to events prior to March 26, 2008, two years prior to the date Student filed the complaint. Student alleges District failed to consider a psychological evaluation of Student completed in March 2005, and speech and language evaluation of Student completed in May 2005, from the University of California Los Angeles (UCLA) Neuropsychiatric Institute. Student also alleges that District failed to consider a Discharge Summary from Student’s hospitalization at UCLA in February to April 2007. Student would not dismiss this claim prior to hearing and it must be addressed here. 4 All citations to the Code of Federal Regulations are to the 2006 edition. 18. To determine whether a school district’s program offered a student a FAPE the focus must be on the adequacy of the district’s proposed program. (Gregory K. v. Longview School District (9th Cir. 1987) 811 F.2d 1314.) If the school district’s program was designed to address the student’s unique educational needs, was reasonably calculated to provide the student with some educational benefit, and comported with the student’s IEP, then the school district provided a FAPE, even if the student’s parents preferred another program and even if his parents’ preferred program would have resulted in greater educational benefit. However, to meet the level of educational benefit contemplated by Rowley and the IDEA, the school district’s program must result in more than minimal academic advancement. (Amanda J. v. Clark County School Dist., et al. (9th Cir. 1996) 267 F.3d 877, 890.) Furthermore, educational benefit in a particular program is measured by the degree to which Student is making progress on the goals set forth in the IEP. (County of San Diego v. Cal. Sp. Ed. Hrg. Off. (9th Cir. 1996) 93 F.3d 1458, 1467.) (County of San Diego). 22. Student had three instructional goals. The first was in the area of socialemotional skills which required Student to identify and share feelings in appropriate ways as measured by observation in a classroom setting, achieving this with no more than one outburst/incident per week for the school year. The second was in the area of functional academics and required Student to finish class work on time as measured by observation in a classroom setting and to complete assignments with no more than two-to-four prompts per task for the school year. Both goals were to be implemented by the general education and RSP teachers. The third was a communications goal and required Student to demonstrate and recite good conversational rules including eye contact, turn-taking, topic maintenance, interpreting non-verbal messages, and answering questions appropriately with no assistance at the rate of 90 percent for four weeks. This goal was implemented by the LAS specialist. The goals were repeated verbatim in the 2007 and 2008 IEPs with only slight modifications in the frequency and duration of prompts in the social-emotional and functional academic goals. 23. As to the May 5, 2008, IEP, the evidence establishes with the exception of the communications goal, in which Student achieved 50 percent of the goal, Student had not made measurable progress in his social-emotional and functional academic goals in the twoyear period of the inception of these goals. In addition, Student’s academic struggles in mathematics, which had previously been an area of strength for him, prompted the IEP team to develop a pre-academic/academic goal in mathematics. The IEP also established that Student remained inconsistent in functional academics. Student had not met this goal. He still required frequent prompts to keep him on task and he remained inconsistent in finishing his class work. Student also had not met his goals and showed no progress in his socialemotional goals as he remained confused and unable to read social cues and facial expressions. 26. As to the October 23, 2008, this IEP was a skeletal document that contained no present levels of performance or goals and objectives as the primary purpose of the document was to discuss placement and services for Student who was enrolled at Village Glen for the 2008-2009 school year. Moreover the IEP was not finalized. 28. Student contends that the May 5, 2008, and October 23, 2008, IEPs failed to offer social skills curriculum woven into the general education curriculum throughout the school day with a positive behavior support plan. District contends that the May 5, 2008, and October 23, 2008, IEPs provided social skill training which provided Student a FAPE. 32. The May 5, 2008, IEP offered LAS services with a social skills component implemented by the speech and language pathologist for 30 minutes per week in the LAS therapy room and additional LAS once per week for one hour. Behavior goals were incorporated into the social-emotional instructional goal. District did not have class-wide or district-wide social skills programs but did have a library which it made available to teaching staff, counselors, and administrators as a resource to assist students requiring social skills services. 34. District chose a different method to deliver social skills services to Student. The law is clear that, as long as a school district provides an appropriate education, the choice regarding the methodology to be used to implement the IEP is left up to the district’s discretion. However, the District’s choice of method was ineffective, as evidenced by Student’s increasingly aggressive behaviors and his inability to engage in social interaction with his peers. Student’s fourth grade general education teacher had previously reported to IEP team members that the social skills program and behavior contract was not working with Student and a more comprehensive or intensive service was required in order for Student to achieve educational benefit. Here, Student had severe social and emotional deficits, which impeded his ability to access his education. While District was not mandated to provide a peer reviewed social skills program, District knew of the severity of Student’s disabilities and did not provide Student with adequate or appropriate social skills services to meet his unique needs. 35. District also offered essentially the same level of social skills services as that in the May 2008, IEP, i.e., 50 minutes per week of LAS with social stories with a speech and language pathologist in the October 23, 2008, IEP. 39 As of the date of the May 5, 2008, IEP, District had been providing behavioral aide. District assigned a shadow, or one-to-one aide, specifically to Student because of the escalating acts of aggression by him toward other students and his brother. The aide accompanied Student to recess and lunch regularly. District had provided supports through the use of a shadow aide for the purpose of assisting Student in his social skills development, academics, and positive social interaction during unstructured time at recess and lunch. However, even with that level of support, Student was not successful in the general education classroom or during unstructured time because of his severe social-emotional deficits, which District did not adequately address. The May 5, 2008, IEP however did not offer to continue the aide as part of the transition plan to middle school. 48. Here the offer of placement at EMS in the May 5, 2008, IEP did not offer Student an appropriate placement for a number of reasons. Student was struggling academically and socially at Rio San Gabriel, an elementary school about one-half the size of the proposed placement. From the end of the third grade through the fifth grade Student’s academic performance rapidly deteriorated. Student was committing acts of aggression on students by kicking, hitting, punching, and fighting them, and was disruptive in the classroom and on the campus during lunch and recess. Student had suicidal ideations that Father reported to the IEP team. Student perceived that he was regularly bullied, derided, and ostracized by the children at Rio San Gabriel. Student had severe social, emotional and pragmatic language deficits and was in need of a structured self-contained educational setting. The offer was not clear and complete because District offered to conduct a social skills assessment to determine Student’s needs and whether Student required a more appropriate placement. 50. Student needed to be placed in a self-contained and structured environment. EMS did not afford the type of educational setting Student required. The SDC at EMS was not appropriate for Student and there were no other appropriate self-contained placements for Student within the District. The nature of Student’s social skills and communications deficits and inability to transition were so severe that placement at EMS was not appropriate and could not meet Student’s unique needs, even with the most reasonable and substantial accommodation. The evidence establishes that the nature and severity of the student’s disabilities was such that education in regular classes with the use of supplementary aids and services could not be achieved satisfactorily. EMS was inappropriate because of the large student body, lack of RSP and instruction, the lack of supports during unstructured time, and the lack of a structured social skills program to address Student’s unique educational needs. Student required a more restrictive environment in order to receive educational benefit. EMS did not currently have the SDC program required to meet his needs. 60. District continued to generally offer Student placement within the District. District convened an IEP team meeting on June 2, 2009, for the purpose of discussing the need to conduct a triennial assessment. The IEP noted that the last triennial was held on February 2, 2006, and that the next triennial date was February 2, 2009. Parents attended the IEP team meeting in June 2009, and District provided an assessment plan to Parents for an upcoming triennial review. By this date the triennial assessment was late, but Student was attending Village Glen. However, District had an obligation to make reasonable efforts to obtain Parents’ consent to the triennial in June 2009. District made no effort follow up with Parents and did not discover that Parents had not signed and returned the assessment plan until after the start of the fall semester for the 2009-2010 school year. District provided another assessment plan to Parents. The reissued assessment plan dated September 8, 2009, was not signed and returned by Parents until September 22, 2009. 61. The law provides for periodic reevaluations to be conducted not more frequently than once a year unless the parents and District agree otherwise, but at least once every three years, unless the parent and District agree that a reevaluation is not necessary. The triennial was necessary as District continued to offer placement to Student and required current information of Student’s needs to make an appropriate placement. As a matter of law the triennial assessment was due by February 2, 2009. The assessment was not completed until approximately 11 months after it was due. Additionally the assessment report was not issued until February 10, 2010. The assessment was untimely. 67. District did not make further effort to ensure that Vista scheduled and conducted a behavior assessment. District is obligated by law to make reasonable efforts to obtain parental consent to an assessment but is not required to pursue the reevaluation by using the consent override procedures provided by law. Here, District proposed the behavior assessment in the May 5, 2008, IEP in order to obtain current information regarding Student’s behavioral and social skills needs which was critical to providing Student with the appropriate placement and services. District did not prepare an assessment plan but rather sought Parents’ authorization for release of records to be provided to Vista. District’s rationale was that by doing so, receipt of the records would enable Vista to prepare an assessment plan and proceed with an assessment. Parents did not provide an authorization. District next prepared an assessment plan in connection with the triennial assessment in which District included the behavior assessment by Vista as an additional assessment. Parents ultimately consented to the assessment on September 21, 2009, and submitted the assessment plan to District on September 22, 2009. Vista attempted to schedule the assessment with Parents to no avail. District did not make an inquiry by contacting Parents or Vista concerning the status or progress of the behavior assessment until January 2010, when Parent brought to Ms. Thompson’s attention that the Vista assessment had not taken place. Even after District was made aware, District took no further action to attempt to obtain parental consent to schedule the assessment, made no telephone calls to Parents concerning scheduling the assessment, nor did District direct correspondence to parents concerning the need for Parents and Vista to schedule the assessment. District remained obligated to ensure the assessment was conducted or to otherwise complete the assessment. District failed to meet its obligation. 69. Student contends that District failed to convene an IEP meeting within 60 days of Parents’ consent to the assessment plan on September 22, 2009. District contends that the IEP meeting was delayed and not timely held because of Parent’s scheduling requests. 71. The assessment plan was executed by Mother on September 21, 2009, and sent by facsimile to Ms. Thompson on September 22, 2009. The assessments should have been completed no later than late November or early December 2009. The IEP was not held until June 2010, some nine months after the assessment plan was signed. According to Ms. Thompson, the delay was caused in part by District’s agreement to accommodate Parents’ and Student’s schedules. The evidence establishes that even with the accommodation provided to Parents the assessments were completed in early December and an IEP should have been convened in December 2009. Ms. Thompson’s testimony that the assessment was complete in December is further proof that the IEP could have been timely convened. Instead the triennial assessment report was not issued until February 9, 2010, and an IEP was not convened until June 2010. Ms. Thompson’s further explanation is that the IEP was delayed because of District’s desire to include the Vista assessment. District provided no plausible explanation for the delay. District was obligated to complete the triennial assessment and convene an IEP within 60 days of Parents’ consent to the assessment. The IEP meeting did not take place until nine moths after the assessment plan was signed and was untimely. 73. Student contends that District denied a FAPE when it failed to make an appropriate offer of placement and services in the June 2, 2009, IEP. District contends it provided Student an offer of a FAPE. 76. Neither the May 5, 2008, IEP nor the October 23, 2008, IEP provided Student a FAPE. At the time of the June 2, 2009, IEP, District had not yet offered Student an appropriate placement but offered to hold an IEP meeting to discuss results of the assessments once they were completed, and offer placement and services at that time. The triennial assessment was untimely and the behavior assessment was never conducted. 78. Student seeks reimbursement for (1) Tuition at Village Glen for 2008-2009 school year in the amount of $27,000 and $23,861.50 for the 2009-2010 school year (2) Travel Costs to and from Village Glen, and (3) Self-funded therapies in the amount of $25,000. The District contends that it provided Student a FAPE in the May 5, 2008, October 23, 2008, and June 2, 2009, IEPs. District further contends that Student is not entitled to reimbursement for unilateral placement at Village Glen or that reimbursement should be allowed at a reduced amount because of Parents’ unreasonable conduct. 81. As set forth above, the May 5, 2008, IEP did not offer Student an appropriate placement and denied him a FAPE. 82. In contrast, the educational program at Village Glen was designed to provide a highly structured learning environment for students in grades K-12 with social and communication deficits that impede the student’s ability to access their education. Approximately 85 percent of the students are on the autism spectrum. Village Glen contracts with various school districts to provide special education services for district-placed students. Village Glen has a therapeutic and academic component which includes a program for gifted children like Student, as well as a functional vocational component. Some students attend college after graduation and some students are enrolled concurrently in college while in their senior year. The campus is small and self-contained. The school has approximately 300 students. The classes have no more than 18 students with a high adult-to-Student ratio. All staff is trained in social skills intervention and social skills are taught in the classroom throughout the day. The school promotes all the normal activities on a general education campus. Since his enrollment at Village Glen, Student has become fully engaged in his educational program, is participating fully in his classes, and has improved academically as he is getting “A” and “B” grades. He has also improved in his social interaction and communication with other students. Student met his burden of proof that Village Glen is an appropriate placement. Parents are entitled to reimbursement of tuition expenses incurred for the 2008-2009 and 2009-2010 school years. 83. Parents also provided a timely 10-day letter to District in July 2008, which notified District of their intention to unilaterally place Student at Village Glen and have met the notice requirement. Further, District’s assertion that Parents acted unreasonably in failing to sign District’s assessment plan and failing to cooperate in the behavior assessment is not supported by the evidence. District staff consistently described Parents as cooperative and responsive to District’s requests, and a reduction in reimbursement is not warranted on this ground. 84. Parents have requested tuition reimbursement in the amount of $50,861.50. Mother presented a billing statement for the 2008-2009 school year for tuition at Village Glen for Student in the amount of $27,000 and $23,861.50 for the 2009-2010 school year. However, based upon a review of the billing statements and attached canceled checks Parents have only provided documentation showing they paid $17,078.50 for the 2008-2009 school year and $17,570.50 for the 2009-2010 school year. Parents are entitled to an award of $34,649.00 for tuition expenses incurred at Village Glen from September 2008 to June 2009 and September 2009 to June 2010. 85. Regarding the request for mileage reimbursement for round trip transportation from home to school, while evidence of the mileage was present Parents did not provide the number of days of roundtrip transportation. This information was provided for the first time in Student’s written closing argument and is not evidence upon which a finding and award can be made. Parents are therefore not entitled to a mileage award. District is ordered to reimburse tuition in the amount of $34,649.00.